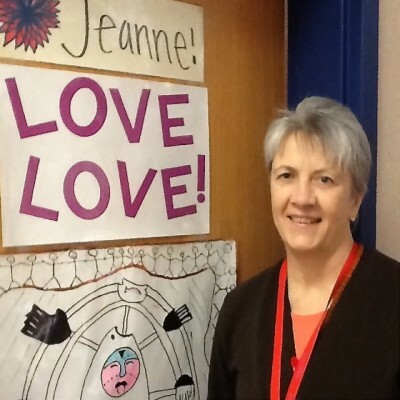 Jeanne Campbell is the Chevak High School Resource Director and teacher/mentor for Class of 2014 Gates Millennium Scholarship Winners Kyla Fermoyle and Mary Pingayak. Congratulations to Kyla and Mary! 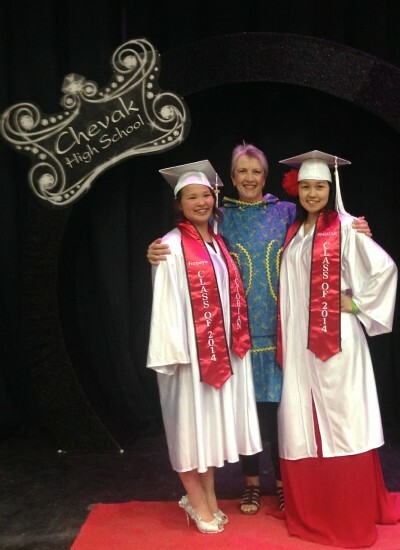 Congratulations are in order for two Chevak School seniors, Kyla Fermoyle and Mary Pingayak, the valedictorian and salutatorian of the Class of 2014. They are two of the 1,000 students selected out of the more than 52,000 students who applied for Gates Millennium Scholarship (GMS). Their applications were judged on their strong leadership, community service and academic achievements that they wrote about in the eight essays they submitted with the application. Their accomplishment is especially notable in context of the more than 52,000 students who applied, making this year one of the most competitive candidate groups in the program’s history. Chevak School is especially proud of this distinct honor that distinguishes them as a Leader for America’s Future™. As a Gates Millennium Scholar, Kyla and Mary are able to use the funds to attend any U.S. located, accredited* college or university. This is a renewable scholarship based on the GMS Program guidelines. Both Kyla and Mary are interested in attending University of Alaska, Anchorage at this time. Kyla is interested in the Medical Field and Mary is interested in Education. Both of these fields are eligible for funding through the master’s and doctoral levels. Kyla and Mary will be required to submit documents throughout their education based on the guidelines of the scholarship to renew it year to year. 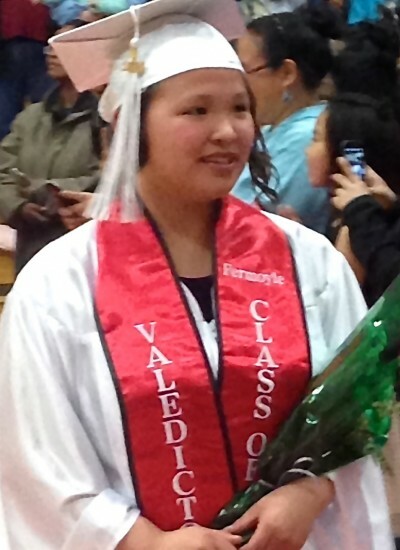 The steps that led to the girl’s success began in the spring of 2013 when Chevak School’s Resource Director Jeanne Campbell and Counselor Bob Gardner attended a Talk Story, Write Story workshop facilitated by Tad Bartimus and her husband, Dean Wariner, in Bethel, Alaska. The workshop positively impacted Ms. Campbell in such a way that she took one week out of her summer to attend Upward Bound College Preparation program where the Wariners were hired to work with the Junior class, teaching them through the writing process to develop personal essays. Ms. Campbell remained in contact with the Wariners and when the new school year began the three of them committed to working with Mary Pingayak who attended the Upward Bound workshop. After checking the GPAs and schedules of other seniors in Mary’s class, Ms. Campbell sought out Kyla Fermoyle to participate as well. By September both girls were in conference with the Wariners via Skype and emails. They attended class each day second period in Ms. Campbell’s office. They signed out iPads so that they could draft essays at home, and the Wariners purchased and sent them keyboards so they could work at home and on weekends. Then in class the Wariners and Ms. Campbell worked with them to develop their content, to make their writing concise and personal. Writing such as this is an emotionally charged process. They read, wrote, and revised through laughter and tears. They slowed down at times but they never gave up. The deadline was arriving quickly and Ms. Campbell opened her home during Thanksgiving and Christmas break for the girls to have a quiet place to work and complete the essays and application details. The Wariners stuck with them through the whole Christmas break and the first two weeks of January. The applicants were revising right up to the deadline of January 16. Then the waiting began. The first communication came March 6, 2014, telling the girls that they were GMS finalists. This was a milestone but it did not yet mean success. They had to collect more data and have it submitted before April 7, 2014. This task was accomplished on April 4, 2014. 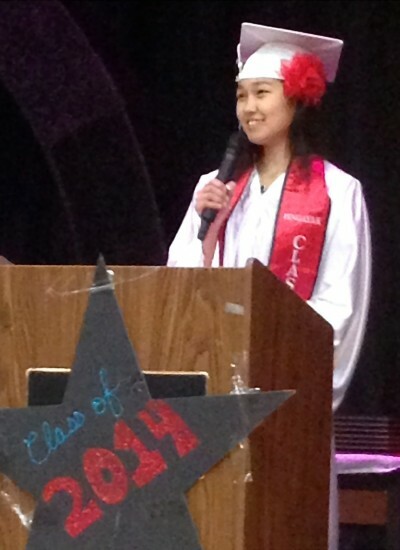 Kyla was notified by mail April 19 that she was awarded the scholarship. The team was still not ready to celebrate until they heard about Mary whose notification did not come until April 22. That was a tense couple of days for the team. Chevak School could not be more proud to share the story of the success of these students. This is a life changing opportunity. 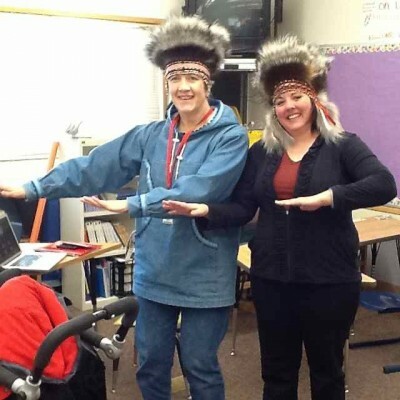 Kyla Fermoyle and Mary Pingayak are future leaders of Alaska. My name is Jeanne Campbell. I have been a teacher at Chevak School for the past eight years, and currently am the Resource Director of the Kashunamiut School District. A professor once told me that our roles define us, and that our identity evolves from what we do. I argued that we were born with specific qualities and as we come to understand our place in the world, our true nature blossoms in the pursuit of our unique personal legend. At that time in my life, my simultaneous public roles encompassed mother, student, waitress, and homeowner. But beneath it all was a bound-up singer, poet, dreamer, drifter. I suppressed the true nature of my identity because I did not understand how to express my inner self in my worldly experience. I did not understand how to feel safe in my own self-expression around other people. I was, and still am to a degree, socially dysfunctional. As I grew up I watched how others got along. I modeled my own behavior after what I witnessed. I never really felt true to myself in social situations, so I mostly kept to myself. I took up writing at an early age; with pen and paper, I felt complete. As the years passed, everything I became was the result of modeled behavior. Yet, when it came to heartfelt expression, I did not trust myself beyond the pen and paper. When I am asked why I took on the commitment of guiding two of my students, seniors Mary Pingayak and Kyla Fermoyle, through the process of completing the 26-page Gates Millennium Scholarship application, I reply that I learned how to do it by attending two Talk Story, Write Story (TS,WS) workshops with Tad Bartimus and Dean Wariner in 2013. I believed that going through the process of completing the Gates application – which holds out the promise of 10 years of free education to the 1,000 annual winners – would be a great learning opportunity for the girls, and it was. With the invaluable support of Tad and Dean from August right up until the January 15th deadline, we got it done. But that response was not enough for Tad and Dean. When I did the first draft of this assessment of the Gates experience, their response was “do it again!” Just as they did with my students, they began to question me with their sincere curiosity. They poked and probed: they wanted my whole story. They wanted my motives, my joys, sorrows, frustrations. They practically ordered me to “write from the heart. You are the hero of this story.” That’s how they encouraged Kyla and Mary for five and a half months, and that is how they encouraged me to think harder, dig deeper, write more, and with passion. So I struggled. I wrestled with ghosts. And I remembered… Somewhere between a bad divorce and the pursuit of continuing my education I had quit writing for the pleasure of it and began writing what professors wanted to read. I wrote for a good grade. Sure, I took pride in my essays, having become quite the philosophical, critical thinker. But I lost the energy to keep my individual perspective flowing freely. Reading and writing, the two activities I had truly enjoyed in my youth, became drudgery, a mechanical response to the task at hand. So why did I help Mary and Kyla? I firmly believe that every child has a gift unique to his or her true nature. Every time I help a young adult pursue his or her own personal legend, I am nurturing the teenager in my own heart. It is never to late to follow your dreams, but it sure is easier when you have a mentor, someone you can trust as you stumble along the way. I hope Mary and Kyla see me as that someone. Not just for their senior year, but for as long as learning curves challenge them as they walk their own paths. I credit my Gates experience, and Tad and Dean’s workshops, with reminding me of why I became a teacher, and of rediscovering the joy of teaching. 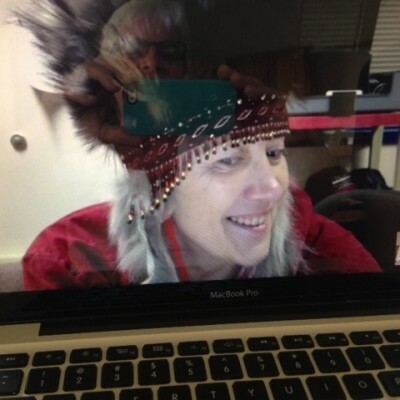 My understanding of Talk Story, Write Story prior to attending my first workshop in Bethel last April was that I would learn about writing digital essays for scholarship applications. It was so much more than that. I have not written so much, so freely, since my composition class in college. I had been so engrossed in writing papers for my principal internship that had to be content specific and align to specific administration standards I had forgotten how enjoyable it is to simply write from the heart about personal experience. 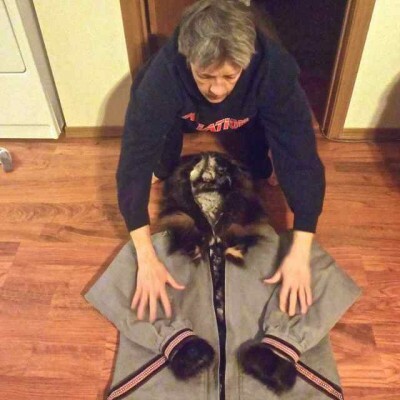 It has a calming cathartic affect. I believe that if we can train our students to tell their stories in such a way we will do what one of my cultural mentors stressed was vital for our students, which is to teach to their spirits. Day 1-Our Most Worrisome Challenge; Day 2-Becoming a Teacher and Being Unfairly Treated; Day 3-Leadership; Day 4-Anything about Myself. We discussed the Hero’s Journey as outlined by the late philosopher Joseph Campbell, and recognized the way in which the journey cycle aligns to our story telling. We also participated in peer reviews, listening as each of us read our stories and providing feedback about what caught our attention, what questions we still had and where the author could clarify information. Tad and Dean facilitated the workshop and guided us through it, but we engaged in the process to the extent that this was a group learning experience. I was enriched not only by my personal journey, but also by participating in the individual journeys of the group’s members. 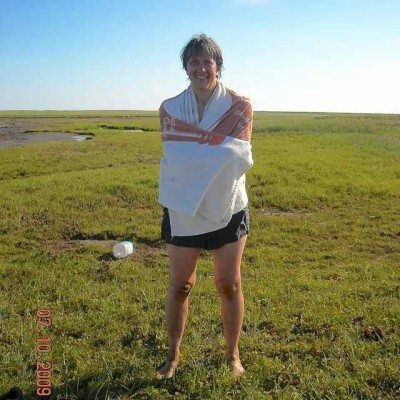 In July I joined up with Tad and Dean again, at their invitation, to work with them as they mentored college-bound juniors in writing five personal essays during a six-week TRIO program on the University of Alaska, Fairbanks campus. I was eager to see how Tad and Dean would get the Upward Bound students to write so much in one week. As an English teacher, I struggled to get even one essay a week out of my students. Tad and Dean set high expectations from the start and did not let up one iota. They encouraged and nurtured the students every step of the way and the students responded with quality products. Similar to what I experienced in my first workshop, students were expressing themselves from their hearts and emotions ran deep. 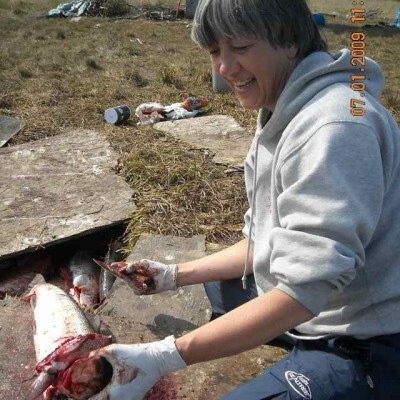 This experience reminded me of Harold Napoleon’s essay, Yuuyaraq: The Way of the Human Being. Napoleon suggests that the need to communicate, to express from the heart joys, sorrows, and frustrations, can facilitate healing for the culture. In the UAF Talk Story, Write Story workshop, I witnessed two students from one village discussing bullying. The author was the victim and the other was the bully. Tears flowed from both as the essay was shared. I believe that the students in rural Alaska would benefit much more by learning to write their own journeys as they work their way forward amid the world views of traditional culture and 21st century academic standards. The UAF workshop ended with the commitment that I would assist one of my incoming seniors in applying for the Gates Millennium Scholarship when school began in September. I was reluctant to commit to such a project, but the Wariners assured me that we would partner and together we would get it done. We began in early September. Encouraged by Tad and Dean, I scheduled a class of two students. 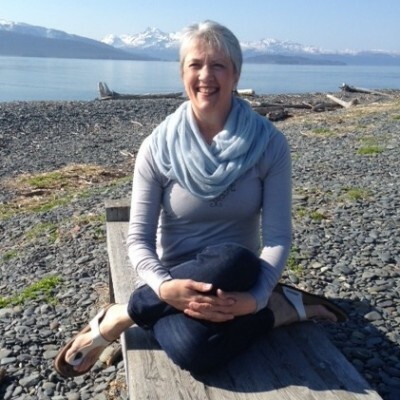 I had worked with Mary Pingayak in the UAF Upward Bound class, but the only thing I knew about Kyla Fermoyle was that she was a nice, quiet academic achiever. The class took place in my office during second period, M-F. I was the teacher of record but a majority of the instruction came from Hawaii via Skype, email and cell phone. Tad and Dean conferenced face-to-face with each girl at least twice a week and exchanged emails almost daily. I kept attendance and the grade book. In-between my duties as a resource director I read the many drafts of their eight required essays that Tad and Dean were coaching them through. I also helped locate materials online, answered questions about transcripts and credits, and covered other detail-oriented tasks that had to be done on site. When the final push came at Thanksgiving, I started working with the girls in my home in the evenings and on weekends. I needed them to know that they could rely on me for whatever support I could offer. Those last hectic three weeks we worked after school for as long as it took, until the final submission just before the midnight, January 15, deadline. I have been working in Chevak School for the past eight years. Every year I work with seniors to help them prepare for college or training beyond high school. Every year, I have seniors who think about failing classes just so they can remain in high school another year. It is a frightening time in the life of a Native Alaskan student who has spent his or her whole life in bush Alaska to consider living day to day on a college campus. My first few years here, most of our graduates who went away to college returned to the bush after their first semester. The past few years more and more students are venturing to campus and working through the challenges. But even my best students return and tell me how difficult it is to make the right choices, to maintain a good grade point average, and to suffer through the homesickness. As an educator in rural Alaska, I never feel that I am doing enough to help them make such hard decisions. I know when I was their age I did not. All I can do is coach them along. I now have the good fortune in my position to be able to create an elective class that students can take just for this purpose, which takes place semester 2 of their senior year. When I am unavailable to attend class, the counselor takes over as my substitute. The class my two Gates Millennium Scholarship girls took first semester was unique this year. I never would have known about this scholarship if I had not taken Tad and Dean’s Talk Story, Write Story class in April, and followed it up with a hands-on essay writing lab class with Upward Bound students at UAF two months later. As the KSD Resource Director, I have high regard for this foundational writing project. Personalizing the students’ writing using the Gates scholarship essays is a great way to engage them in self-awareness expression. 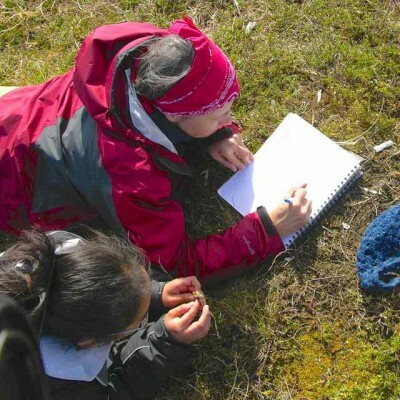 Not only does it teach them necessary writing skills, it also teaches them that they have a unique personal story to tell that people outside of Alaska find fascinating. Tad and Dean tell the students that each one of them is the Hero of his or her own story. They use the archetypical Hero’s Journey cycle, as identified by Joseph Campbell in his works, to show the progressions that are common experiences of all people as they grow and develop throughout life. I can envision adjusting the cognitive skill levels of the Hero’s journey cycle and the scholarship essay questions for students as early as fourth grade. In this way, an uninterrupted writing curriculum is established whereby the student begins his or her story, then develops and deepens it throughout his or her educational experience. This would create a sorely needed continuity across grade levels in our rural schools. 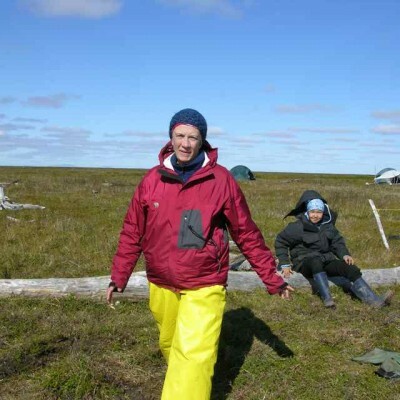 In bush Alaska, teacher turn over is an obstacle in curriculum development. I believe that Talk Story, Write Story is a great way in which to personalize the writing curriculum for Alaska’s students, culminating in helping our graduates gain college acceptance and write their way into scholarships to pay for their higher education, all the way through medical school or a doctorate. I would love to have future opportunities to work with Tad, Dean and a team of teachers across grade levels to develop such a school-wide personal essay writing curriculum.